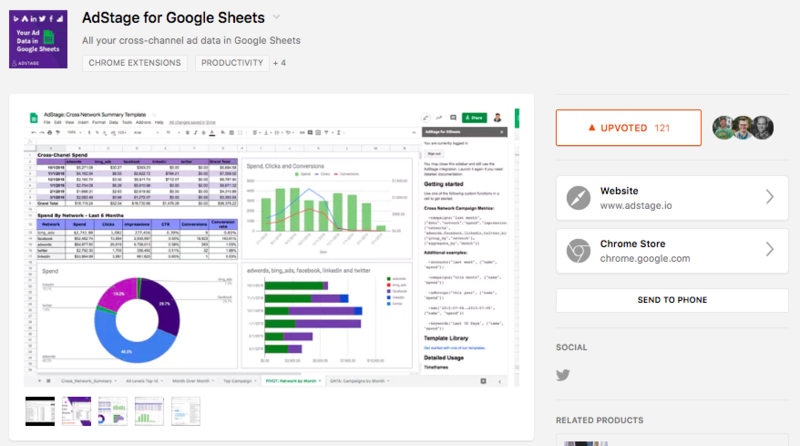 Powering paid marketers with closed-loop reporting and automation. 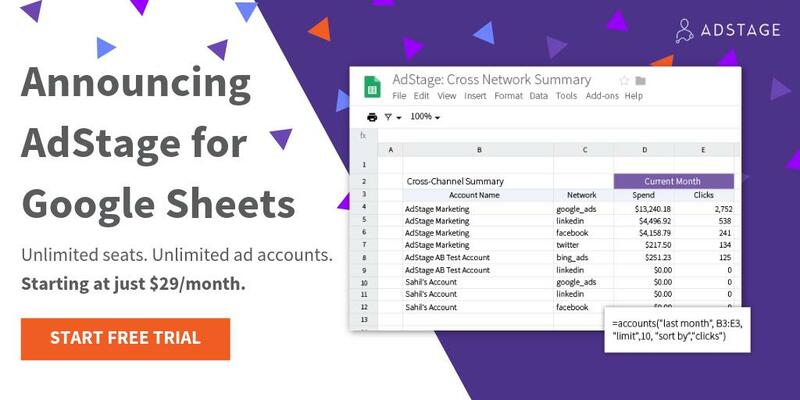 AdStage is connecting paid media marketers to the data they need to analyze, automate, and report on their PPC and paid social campaigns. Get started with free 14-day trial! Every two or three weeks, we round up some of the biggest fundraises taking place in hyperlocal marketing, commerce, and tech. This week's edition includes funding for RapidAPI, Chargebee, Made.com, and TheSkimm. Jason Wu of AdStage told me how AdStage addressed its data scale issues, and why Apache Cassandra-as-a-Database service was the right choice. Videos will soon take over the internet. Learn how you can leverage this trend early in the game with the latest video marketing statistics. Why Nudge.ai? Reach out to the decision makers at AdStage with a personalized email - let them know that you found their recent news mention interesting. Nudge.ai’s relationship intelligence platform can help you find the right executive to reach out to at AdStage, such as Kenny, Director of Sales and Customer Success, or Kent Pearce, Head of Customer Success. Then get in touch and start a conversation. Executives can be difficult to reach, but every company has connectors who bring together people and ideas. At AdStage, people like Kent Pearce, and Sam Mazaheri are likely connectors. When AdStage is mentioned in the news, Nudge.ai often sees topics like Toys, and Outdoor. If your conversation focuses on these topics, you’ll probably get AdStage’s attention. When AdStage is mentioned in the news, companies such as Quip, and Barkbox, Inc. are often also mentioned. These companies can serve as customer examples. Employees who are often in the news are usually open to starting conversations or exploring ideas. Nudge.ai's sales AI saw Sahil Jain, Michael Mceuen, and Josh Rodriguez from AdStage recently mentioned in the news. 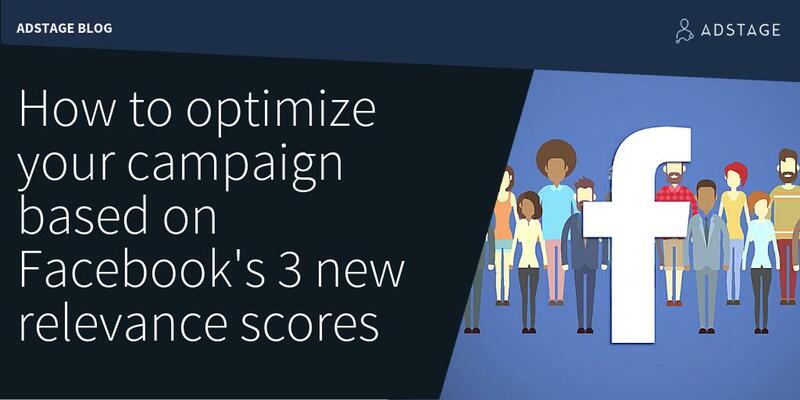 AdStage's Paid Media report offers Q3 benchmark metrics for CPC, CPM and CTR across Facebook, Instagram, LinkedIn and Twitter. Learn how to set up a lead bot and implement a live chat strategy that qualifies and routes leads to your sales team easier than ever. Who in your network can introduce you to AdStage? Nudge.ai finds the best pathway to reach contacts at this company.